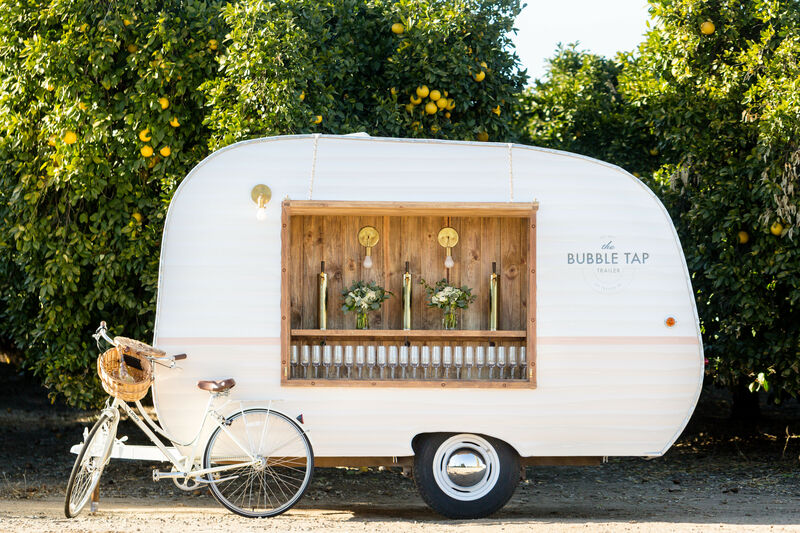 The Bubble Tap Trailer is a fully renovated 1953 vintage canned ham camper trailer that has been converted into a mobile bar serving Prosecco on tap. It is self-contained and compact in size so it fits into most event spaces, making it absolutely perfect for weddings! We can also include add-ons like a mimosa bar and create customized bubbly cocktails! 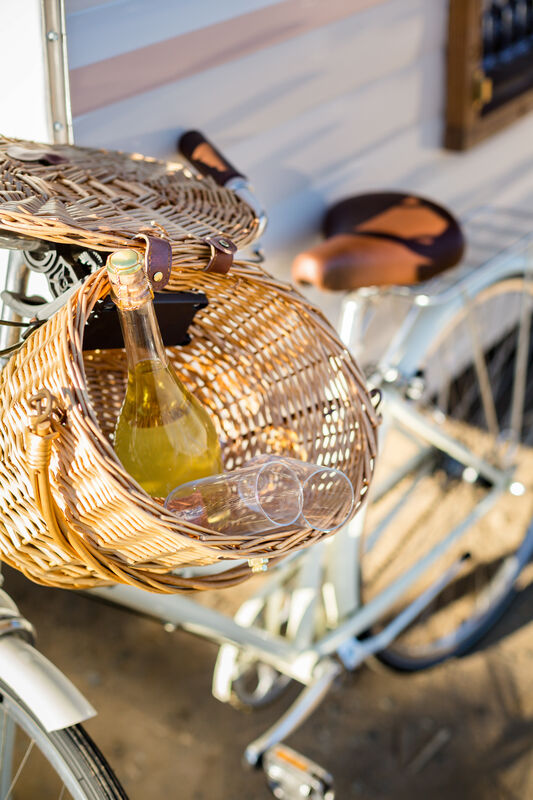 Each keg offers approximately 110 glasses of bubbly for your guests to enjoy. In helping with the ease of your party we can also offer full bar catering, making it a one-stop shop! Founder and bubbly lover, Jennifer Disotell, has a career steeped in building brands. Before launching Tap Trailer Co., Jennifer owned and operated Public Persona, a full-service web design, development and Digital marketing firm. For over 10 years, she worked with a variety of brick and mortar fashion brands helping them leverage their businesses online. Prior to Public Persona, Jennifer was the founding Editor in Chief of a Los Angeles-based, regional fashion and beauty publication. Under her leadership, the magazine experienced rapid circulation growth and attracted top tier advertisers such as Dolce and Gabbana, Fendi, Neiman Marcus, Diane Von Furstenberg and Max Mara. Ms. Disotell began her career at an entertainment product placement firm where she was an intermediary between celebrities and brands such as Dior, Tumi, Bobbi Brown, BCBG and Swarovski. 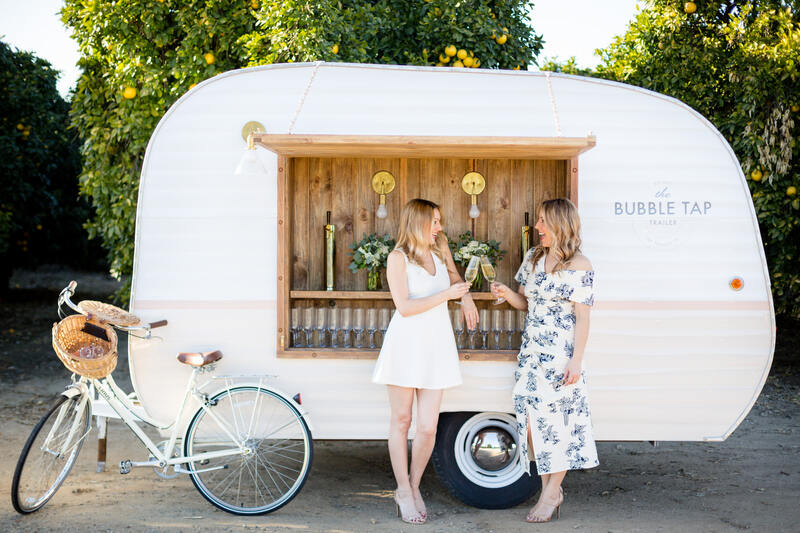 Partner and fellow bubbly lover, Nicole Disotell, brings years of experience within the food and beverage industry to Tap Trailer Co. Prior to joining the company, Nicole owned and operated Taste Agency, a boutique social media firm that focused on the restaurant and hospitality industries. Her client roster included notable clients such as Dave Myers Group, The Dolce Group, Top Chef Kuniko Yagi, and Govind Armstrong. Before launching Taste Agency, Nicole was a partner with her sister in Public Persona, a full service web design, development and Digital marketing firm. Nicole earned a Bachelor’s Degree in history from California State San Marcos. Nicole is a foodie and enjoys dining out, cooking, traveling, watching scary movies and spending time with her chiweenie, Violet. 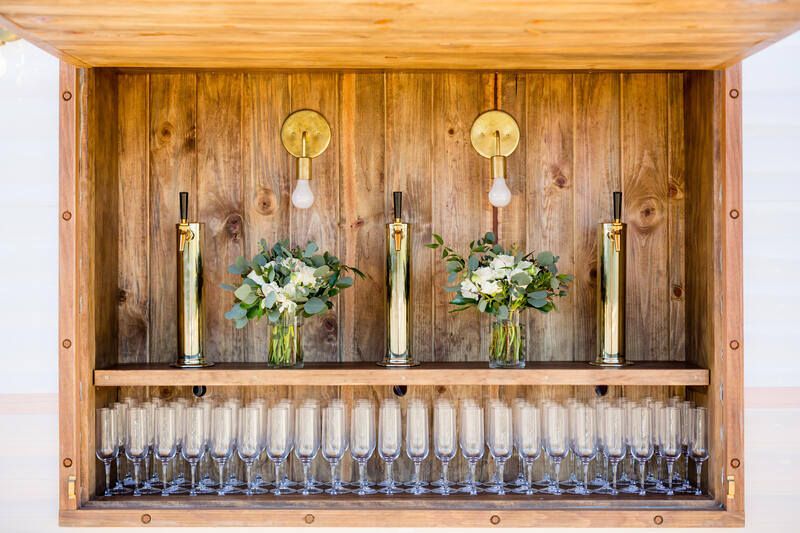 In addition to our Bubble Tap Trailer, we offer full bar catering services, including wine, beer, liquor, specialty cocktails, mixology services, rentals, and staffing. We’re a one-stop shop for all of Southern California’s bar catering needs. We don’t just serve up bubbly! Tell us your favorite spirits and we’ll create a custom cocktail named after you, your event or brand. Tap Trailer Co cocktail experts work with any type of spirit to create drinks that deliver a personalized experience for guests.